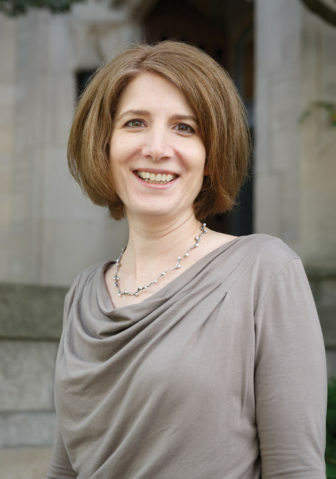 Elaine Allensworth is the Lewis-Sebring Director of the University of Chicago Consortium on Chicago School Research and a managing director of the Urban Education Institute. With budget cuts, union discontent and a sizeable list of pernicious problems, the education landscape in Chicago today looks a lot like it did 25 years ago. Yet for all the unsolved challenges that remain, Chicago has also seen considerable unsung progress. Twenty-five years ago we knew astonishingly little about the state of the school district. Today we complain that student achievement data provide an incomplete picture of what is happening with our children and schools. Twenty-five years ago we didn’t even have reliable measures. Today, we fear that the contentiousness of public discourse will distort data and facts. A quarter century ago, the discourse was just as contentious, but there were no data. Conversations today, though still difficult, are significantly better-informed. Part of that progress comes from having a coherent framework for understanding what schools must have in place before they can improve. In the early 1990s, a coalition of researchers, policymakers, principals, teachers and local school council members came together under the umbrella of the Consortium on Chicago School Research to develop a framework. The final product consisted of five essential supports: effective leaders, collaborative teachers, involved families, ambitious instruction and a supportive environment. Since then, Consortium research has found that schools that are strong on at least three of the 5Essentials, as they are known, were 10 times more likely to improve than those that were weak on three or more Essentials. In Chicago and beyond, these ideas have gained broad buy-in as beacons that can guide school improvement. While they don’t offer a tidy roadmap, they do help us identify where there has been progress, where the district is stumbling, and why. A school district has a fairly broad set of policy levers: holding back low-achieving students; administering tests; expanding the school day; threatening schools with probation or closure if they don’t improve, and on and on. While each of those policy levers ostensibly aims to improve student achievement, in reality few build school capacity. A policy might address one aspect of the 5Essentials but have adverse consequences for others. Schools already strong on the 5Essentials may be able to use a new policy to their advantage, while for others it becomes yet another district-mandated burden on top of myriad other demands. Take, for example, a longer school day. For a school that thinks strategically about their 5Essentials, it could be a boon to teacher collaboration, allowing for more collaborative planning and group problem-solving. But it could also have negative effects on school climate — think exhausted kids with more time to get in trouble and more programs and structures for staff to manage. In disorganized schools, a well-meaning influx of support can actually lead to a decrease in program coherence and lower student achievement. This doesn’t mean they don’t need resources or interventions; it means there is no such thing as a quick fix. Statewide surveys of teachers and students show that Chicago outpaces the rest of the state on effective leaders and ambitious instruction. The notion of the principal as an instructional leader is now commonplace. Twenty-five years ago it was revolutionary. Teachers view their jobs differently, too. When Chicago’s dropout rate was over 50 percent, many teachers didn’t think they could do anything about it. Some students were going to drop out, and that was that. But when Consortium research showed that course failure and absences in 9th grade were driving dropouts — and the district followed up with actionable data to identify and prevent students from falling off-track — dropouts became a problem that teachers could own, work on together and solve. Compared to other districts in Illinois, Chicago is weaker in family engagement. It’s not hard to hypothesize why. Fewer than half of students attend their neighborhood schools, so travel times are long and parents may live far away. At least as important, though, is the fact that 88 percent of CPS families are low-income. While there are examples of successful schools in high-poverty neighborhoods, there is no denying that it’s harder to have a strong school in neighborhoods with extreme poverty. In the past 25 years, Chicago has seen major shifts in demographics, housing and the economy. But it hasn’t solved entrenched poverty, and the schools facing extreme disadvantage are struggling on multiple fronts. Still, on average, Chicago students today make much stronger learning gains than students in the rest of state. Graduation rates are way up, and so are the achievement levels of those graduates. We learn more everyday about how to support schools, teachers and students. Continued progress in the next 25 years will depend on whether we put that knowledge to work — not quick-fix policies.